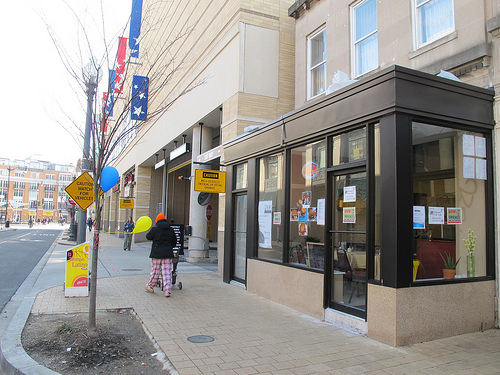 For those who aren’t fans of the chain restaurants in Columbia Heights, you can add another great independent spot to your list! 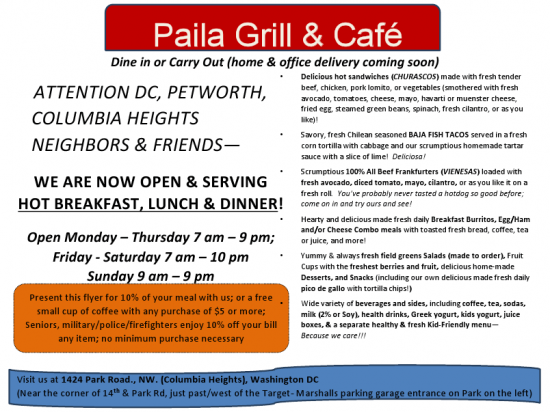 Paila Chilean Grill opened up a week ago just west of DC USA at 14th and Park Rd, NW. 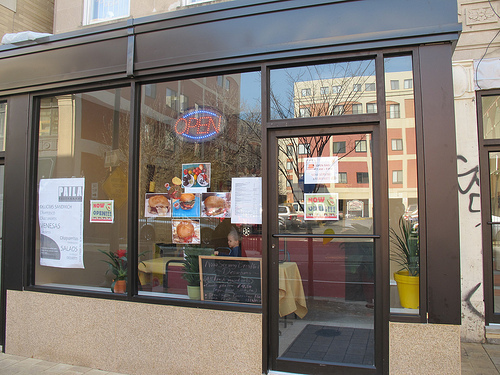 After a reader wrote in saying the new space looked great and the food was equally great, I stopped by Sun. morning for a quick look. 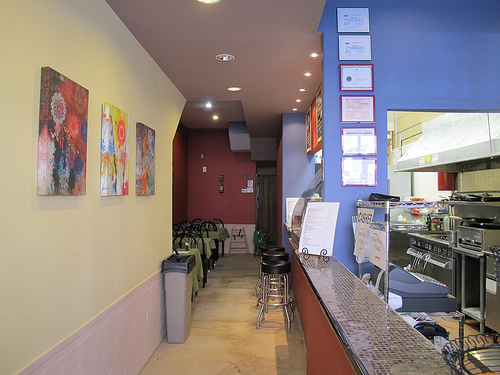 Indeed the space looks fantastic and I’m happy to say the owners were also super nice. 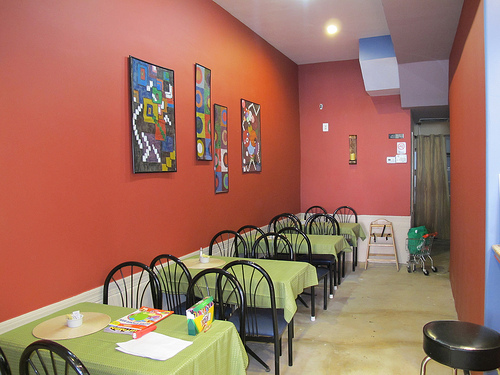 “We are a small, family run, kid-friendly, Chilean grill with a preoccupation with freshness, goodness, and great taste in everything we prepare. Despite this we offer scrumptious food at very reasonable and affordable prices. Cleanliness is next to godliness for us, too! None of our entrees have been frozen or pre-made. We have yummy Chilean churasco sandwiches and 100% all beef kosher frankfurters “vienesas” loaded with fresh avocado, tomato, and other fixings! Another personal favorite of mine is our super fresh baja fish tacos Chilean style on a fresh corn tortilla with lime, cilantro, cabbage and our own homemade tartar sauce. A few more photos after the jump. At What Point Does This Situation Become a Blight?